Choosing a Marriage Retreat- Group or Private? Choosing a Marriage Retreat- Group or Private? Choosing a Marriage Retreat- Group or Private? When looking for a marriage retreat, there are so many factors to consider. We’d like to share with you more about our relationship retreats so you can decide what the best fit is for your relationship. Are you looking for the best marriage retreats? Looking for a non religious marriage getaway? Availability– More often than not, if you are looking for a marriage retreat or an intensive marriage retreat, you need help ASAP. That means, you want to schedule as soon as possible. Our private Marriage Retreats are scheduled on demand, based on our mutual availability. This means you can get started right away on restoring your relationship. That is one advantage of the private marriage intensive. If time is not of the essence, we offer our Getting the Love You Want workshops quarterly. While this Imago couples workshop is also extremely beneficial for couples in crisis, it is also helpful for couples who would like to feel more connected or make a good marriage great. 2) Privacy– Some of our couples are public figures and do not feel comfortable attending a group retreat. In that case, the private option is best. Even if you are not a public figure, you may feel uncomfortable in the group setting. However, one of the benefits of the Getting the Love You Want workshops is that while it is a group experience, no one is required to share publicly and we place a lot of emphasis on creating a safe environment. Nonetheless, there are those who still would prefer something more private. 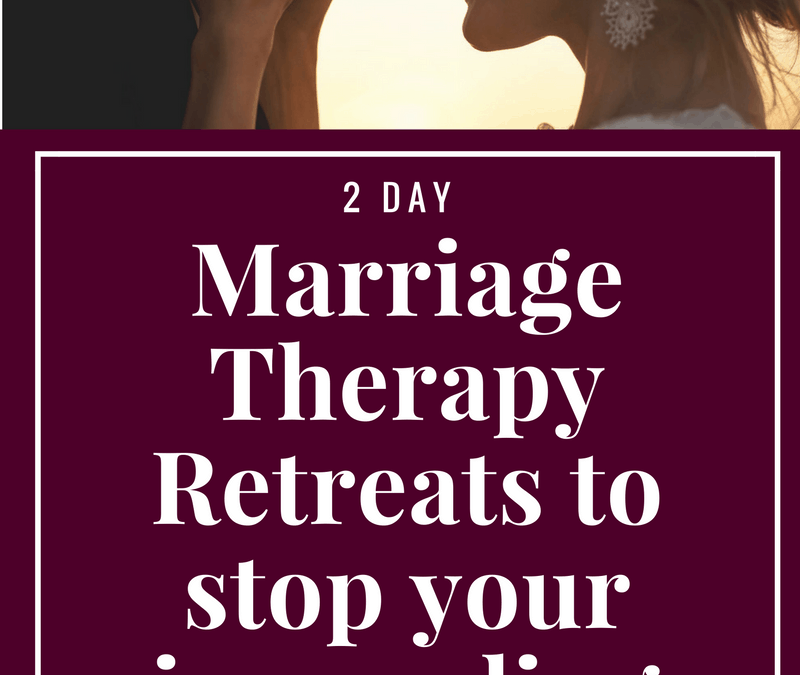 3) Personal Attention – If you are looking for a retreat that provides personal attention so that you can delve deep into your relationship and really work through the unique issues bothering you and your spouse, the private marriage retreat is your best bet. You will have two days of Rabbi Slatkin’s private attention, as well as 2 months of follow-up sessions included. If you are in crisis, your situation is complicated, or you just want the personal guidance of an experienced expert in the field, the private marriage intensive will give you that. Although couples do have the opportunity to do live demos with Rabbi Slatkin at the group Imago couples workshop and we do check-in with couples as they are doing their private work during the workshop, the personal attention is limited as their multiple couples in the group retreat. 4. Follow up– A Marriage retreat can give your relationship a new lease on life but it sometimes is only short-lived if you don’t have the accountability afterwards. That’s why our private retreat includes 8- 90 minute follow-up session, in-person or online. We recognize that old habits die hard and while we can provide you the hope and the tools to create change, the lasting impact is determined by the effort you put in. We want you to see the real change you are looking for and that’s why we include the follow-up. Couples have told us that this was one of the reasons they chose our marriage intensive because we don’t just leave you high and dry, but we continue our work together so that you are more likely to succeed in the long-run. Our group Getting the Love You Want workshops are not designed to include follow-up. While we encourage couples to get follow-up after the workshops and even offer a special follow-up program to attendees, we don’t make it mandatory. Because it is a group workshop and we want to offer a cost-effective option, we don’t include it. If you feel like you are a motivated couple and/or you just want to make your good marriage great, this is a good option for you! You will love the work in either of these formats because both of the options are incredibly powerful and we look forward to having the opportunity to help you achieve a breakthrough in your relationship.